In the last six months, as reported by Politico and NPR, many major food companies—such as Campbell Soup, Mars, Tyson, Hershey’s, Cargill—have bowed out of the ranks of the Grocery Manufacturers Association, signaling a huge shift in how the food industry does business. The Grocery Manufacturers Association (GMA) is the sort of body that is way more important on the production side than most consumers are aware of. You may not have heard of it, but it has heard of you. That is, the GMA works endlessly behind the scenes to influence consumer choices and to get all of us to buy more processed food. 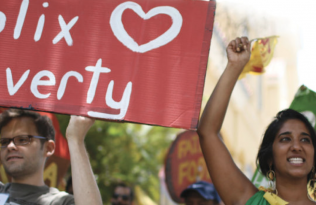 Much of the power of the food industry comes from its ability to band together to influence legislation, resist regulation, and set agendas that benefit a broad range of companies. For the past decade, and, in a different form, for more than a century, it has been the GMA that has been that consolidated voice of power. The GMA was born in 2007, when the similarly-named Grocery Manufacturers of America joined with the Food Products Association to create an unprecedented force in the world of food. Before that, though, both groups had existed as independent organizations for a full century beforehand. Both trace their origins to those heady days after the passage of the Pure Food and Drug Act in 1906, when industrial manufacturers recognized a need for more formal organization in the face of federal intervention in food production. The Grocery Manufacturers of America formed in 1908 under that same name, which they carried proudly until the 2007 merger. The Food Products Association, however, began under a different time, back in 1907: the National Canners Association. 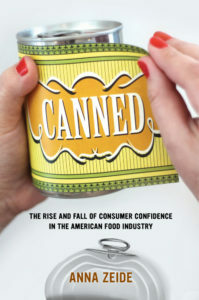 As I write in my new book, Canned: The Rise and Fall of Consumer Confidence in the American Food Industry, it is with this body of organized canners where the broader story of industrial food really begins. 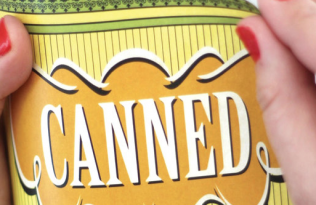 From its inception, the National Canners Association (NCA) was a pioneer in many of the foundational elements of the modern food industry. The NCA formed among the earliest scientific research laboratories in the food industry in 1913, investigating agricultural production, bacterial contamination, and food safety outbreaks. In so doing, they helped seal the marriage between science and food industry. Later, in 1927, they formally established the NCA Publicity Bureau, which devoted itself to marketing and advertising canned products to a sometimes-reluctant consuming public. 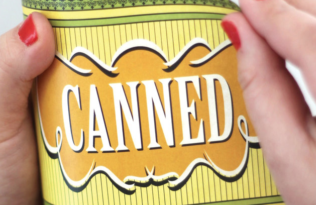 The Publicity Bureau commissioned pro-canning works from celebrity chefs, lobbied newspapers to retract stories that blamed canned foods for cases of food poisoning, and published free promotional cookbooks to encourage housewives to embrace canned foods. Beginning as early as the 1930s, the NCA began to get more directly involved in using its leverage to resist government regulation, and to lobby the federal government for more industry-friendly policies. These strategies intensified in the 1970s, culminating in a name change to the National Food Processors Association in 1978 (and later to the Food Products Association in 2005). By the time this body became the Grocery Manufacturers Association in 2007, it was a behemoth, with more than 300 member-companies, representing nearly all the major brand names in America. Throughout all of it, though, even as the NCA grew in reach and strength, it always remained particular attuned to and concerned about one particular group: its consumers. The desire to win over consumers has driven this large trade organization from the very beginning. The defection of some of GMA’s largest members in recent months, then, should not be dismissed as insider politics without larger ramifications for consumers or for the food movement. No, the weakening of this group that has been the foundation of the food industry for over a century means that there is significant space for consumers to voice their concerns even more forcefully. Throughout its history, it has been in moments of weakness that the food industry has been most willing to change its ways in response to consumer concern. In this moment we must recognize and take advantage of these shifting sands of the industry’s fortune to make our calls for healthier food and a more transparent food system heard. 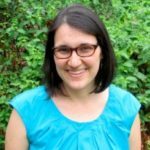 Assistant Professor of Professional Practice at Oklahoma State University, where her research, teaching, and community activism focus on food and food systems.